In the 1890s, there was a small gold rush up in Buckhorn canyon as a (very small) find of gold ore led to rampant speculation. James R. Mason platted the small town of Masonville in order to accommodate the rush of people that he was sure would arrive. 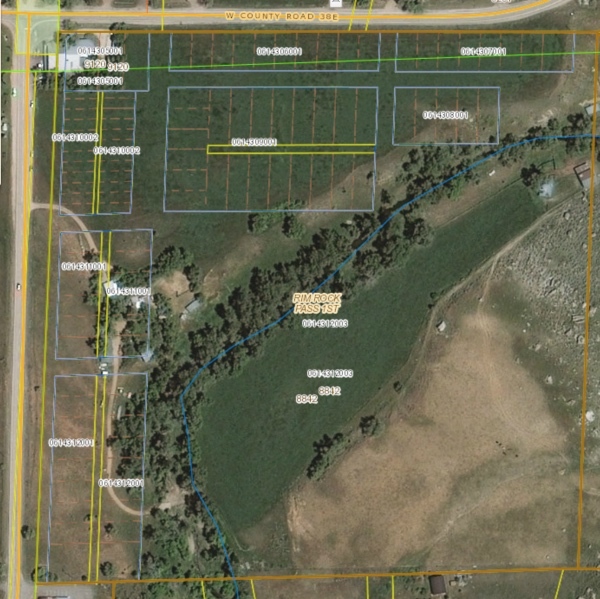 Though the only building that currently exists in the eagerly planned community is the Masonville Mercantile, the layout of the lots can still be seen in the Larimer county assessor’s map of the area. Masonville, as seen on the Larimer county assessor’s map. 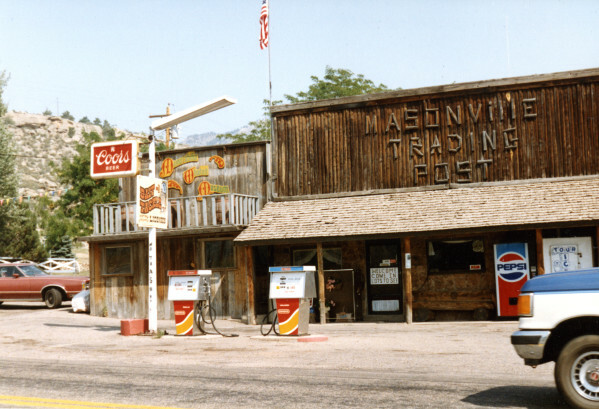 In addition to setting the boundaries of the new community, Mason also built a hotel and general store in 1896. For whatever reason, he chose to put both of these buildings over closer to Buckhorn creek, rather than in the newly platted town. About two weeks ago S. M. Thornton of Elwell, bought the store at Masonville that used to be owned by Currier, and last week he bought E. J. Thompson’s store. He is moving stuff from the old Currier store down to the post office, where he expects to do a rushing business. Oscar Buffum also apparently had a store in the area. 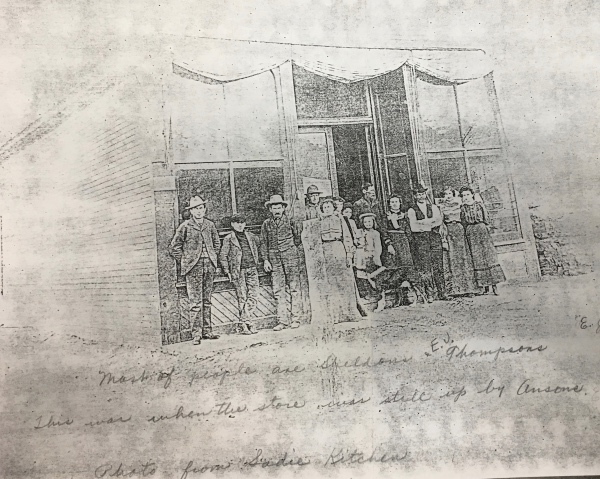 In fact, in the four census pages for the Buckhorn area in 1900, Buffum is the only person listed as running a store, which leaves ones to wonder if Thompson’s store and hotel was really more of a side business and therefore not mentioned as primary businesses by their owner(s). 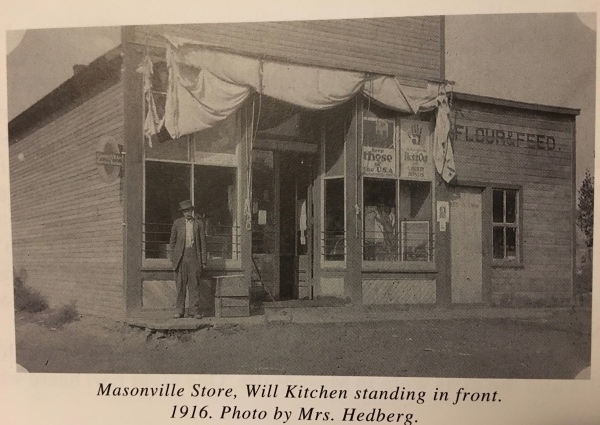 This old photo of the Masonville store is from the Fort Collins Archives (#T02755) where it is said to be from the early 1900s. At some point members of the Kitchen family bought the Masonville store. Both Grant and James Kitchen can be found in the 1910 census documents as general merchants in Buffum (which the Masonville area was sometimes also called due to the fact that the Buffum family were early arrivals to the area). 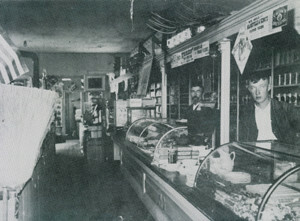 This photo of the store is from Elyse Deffke Bliss’s book, Apples of the Mummy’s Eye: The Dickerson Sisters. There are a couple of funny stories that have been handed down through the years regarding this move. One is that there was a chicken that lived behind the counter in the store and as it was being rolled from one location to the other, the chicken traveled right along with the building. 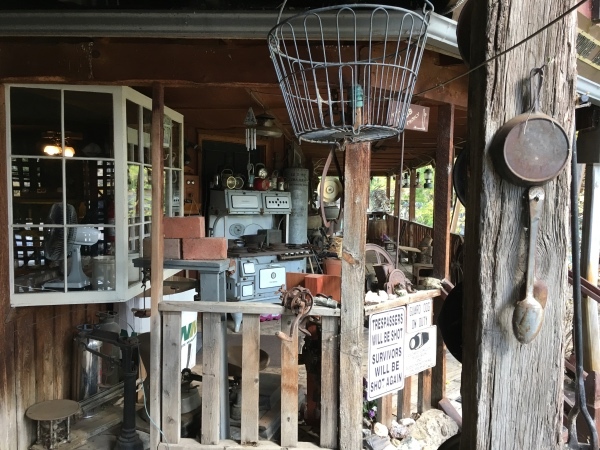 The other is that while the building was up on rollers, traveling for three days from one spot to the other, the family continued to sell items out the door to customers. Two of the Kitchen’s kids were actually born in the building. Norris Kitchen was born there in 1921 and brother John was born there in 1936. 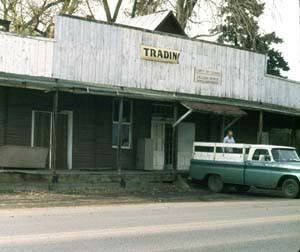 This image is from the Fort Collins Archive (#H08376) and shows the store before it was moved. 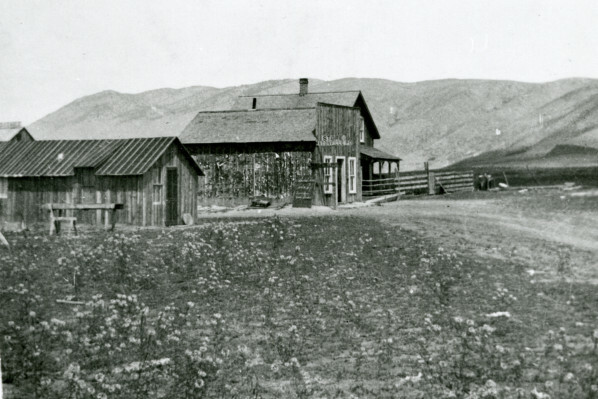 The building at left is where the Dickerson sisters and their mother would stay during the school year, since the Masonville school was the closest to their home, but too far to travel to each day. The middle building is the Masonville store. The Kitchens lived in the house on the far side. 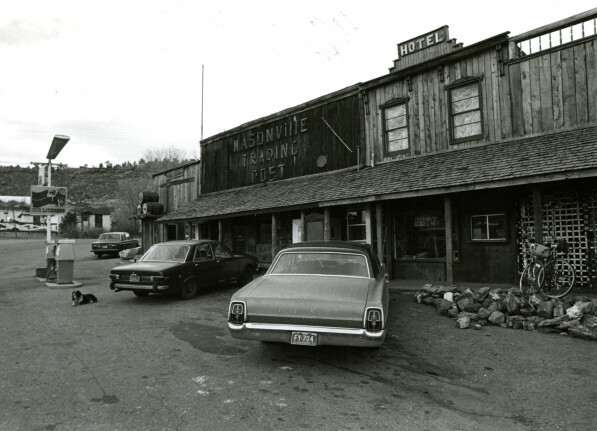 An undated photograph of the Masonville Trading Post on file at the Fort Collins Archive (#S01257). 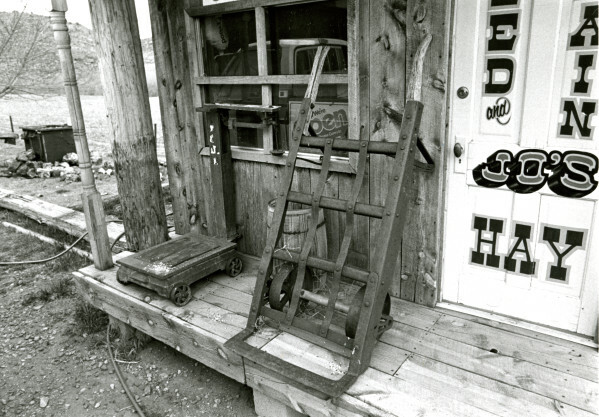 In 1972, Bob Webb purchased the general store. He added a pool hall and bar where he sold 3.2 beer. The neighbors were appalled. They probably imagined it was the beginning of the end for their quiet ranching community. 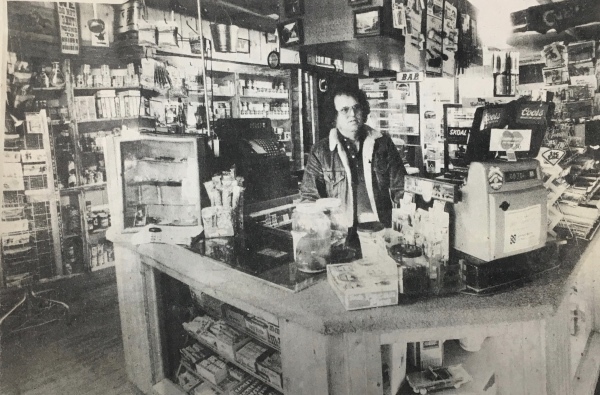 Bob Webb in the Masonville Trading Post around 1979. This photo is taken from a newspaper clipping in the Fort Collins Archive. 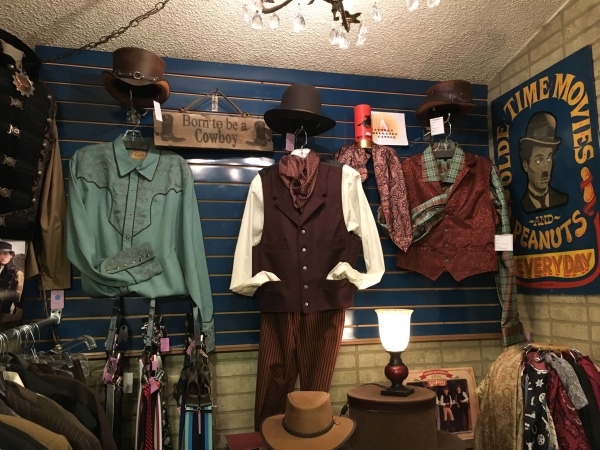 Bob and Mardi still own the store, now called Masonville Mercantile. 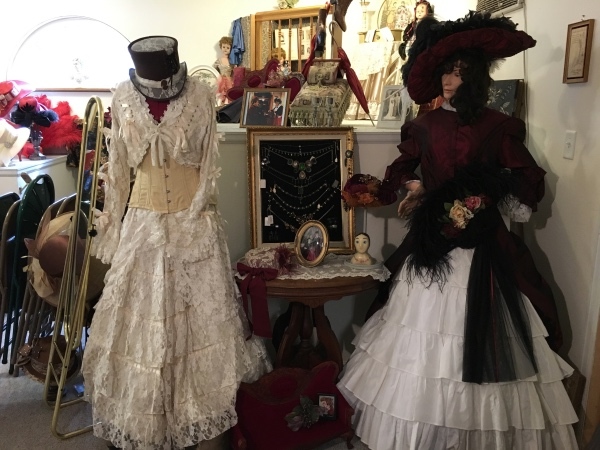 The collection of items for sale has continued to evolve and today a visitor can not only find books and postcards related to the history of northern Colorado and the West, snacks and nicknacks and other odds and ends, but Mardi also has a huge collection of old-timey clothes from the Victorian era on up to around the World War II era, as well as jewelry and hats to match. But the store is more than just a store. 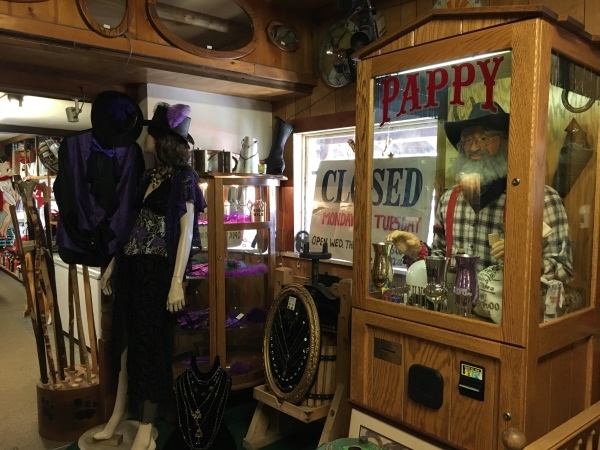 Bob and Mardi have been collecting a hodge podge of items over the years that make the Masonville Mercantile as much a museum as a shop. 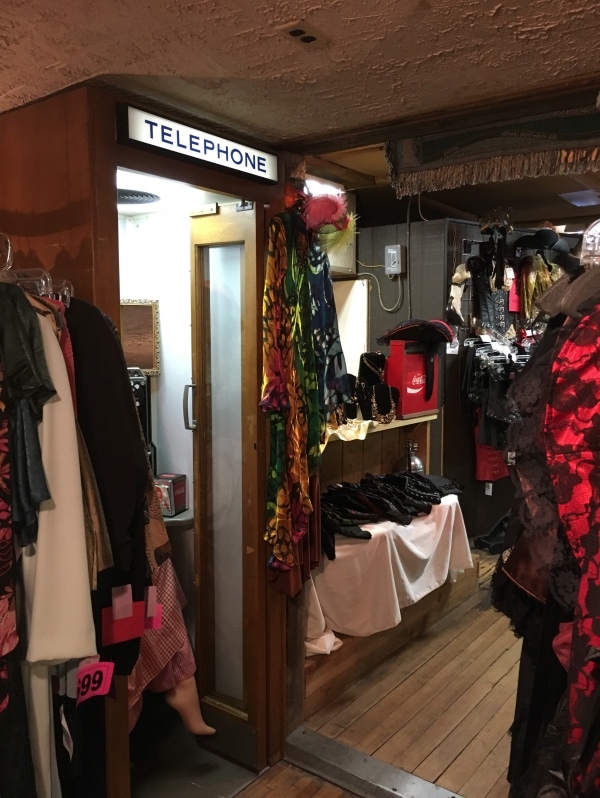 So even if you don’t have any interest in buying anything, it’s still well worth your time to stop in and take a look see at all of the bits and pieces of history scattered around, both in and outside the store. 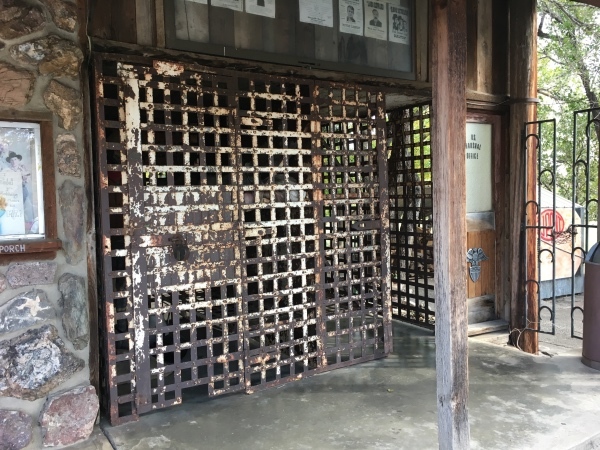 Gates from the Loveland jail that Bob Webb added to the south side of the store. 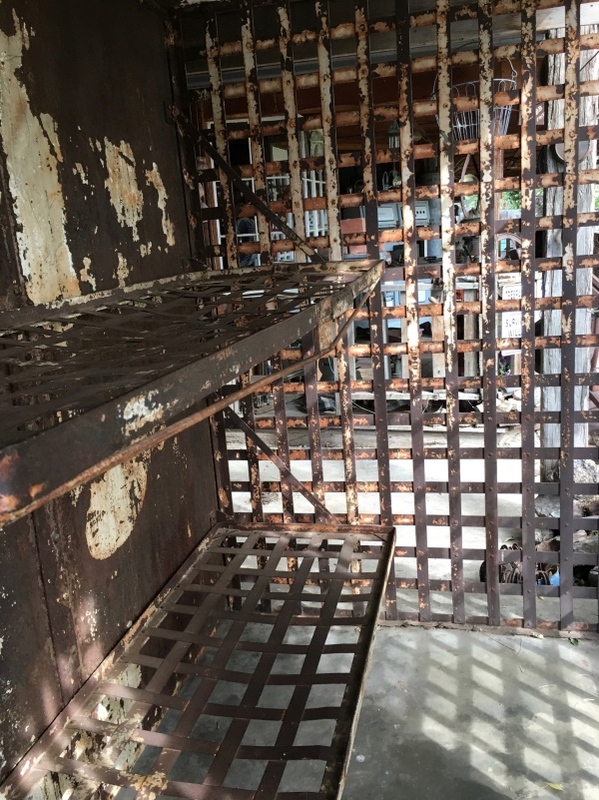 Metal bunks provided the only personal space in a very small jail cell. One bunk has been permanently taken up by a man(nequin) and his dog. 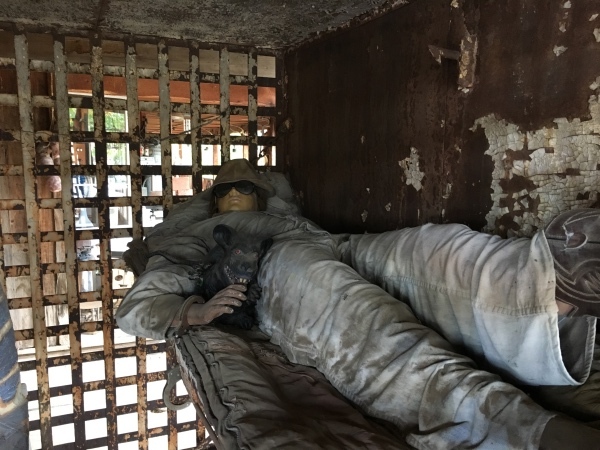 Bob and Mardi’s private porch is visible through the bars of the jail. Clearly their eclectic style and rustic/historic tastes continue on into their private lives. This old timer greets you as you come in through the door. Do your kids have any idea what a telephone booth is? If not, swing on by the shop to take a peek at this one. Some displays look more like a panorama from a museum than an exhibition of items for sale. 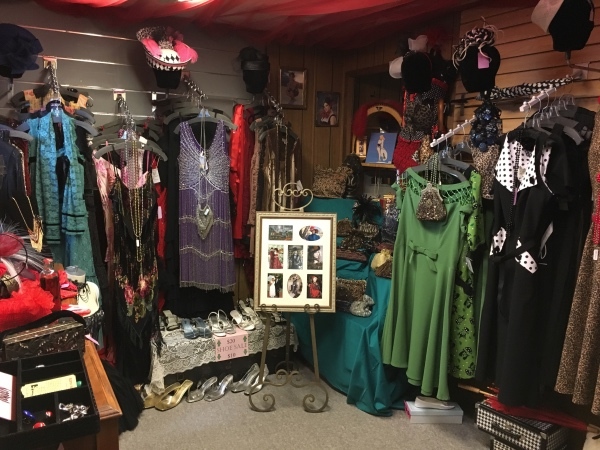 There are lots of dresses for sale. And shoes…. And hats…. There are styles for men as well. 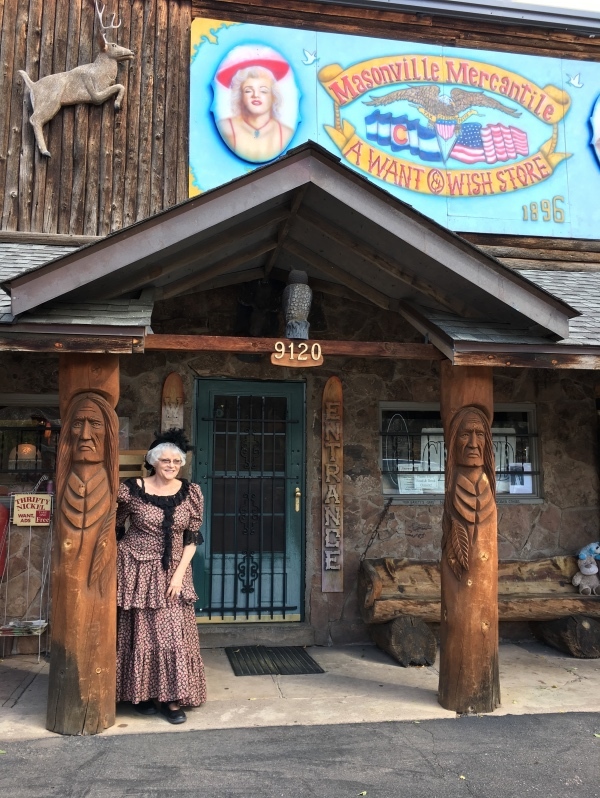 Mardi Denny poses in front of the Masonville Mercantile — October 2016. Location: 9120 N County Road 27 Masonville, CO 80541 (if Googling use Loveland 80538). Hours: Thursday – Saturday 11 to 5 PM. Sunday 12 to 4 PM. Newspaper articles before 1923 came from ColoradoHistoricNewspapers.com. All other newspaper articles appear to be from the Coloradoan and were on file at the Fort Collins Archive. Census data was accessed through Ancestry.com. Great Job Meg! You really do your research, I love the old photos (and the new). 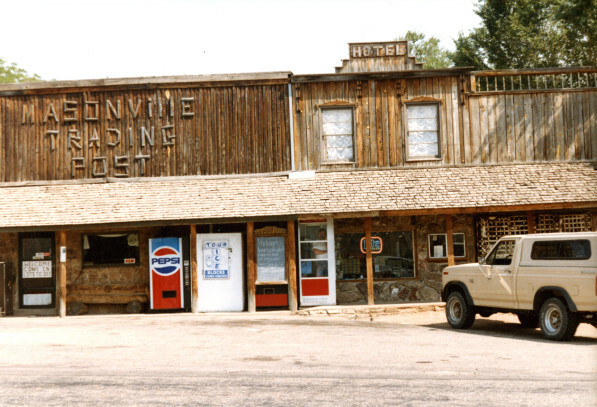 I remember that place in the late 80s when I moved to Loveland and would go camping and fishing in Buckhorn Canyon and over Pennock Pass to Pingree Park. But I never went into the store until having moved back here several years ago. It is definitely unique and well worth a visit. I found the history that you dug up fascinating. It’s describes how “civilization” came to the wilderness. Thanks again!